During Godzilla's hiatus, Eugène Lourié made a pair of giant monster films, Giant Behemoth, and Gorgo. 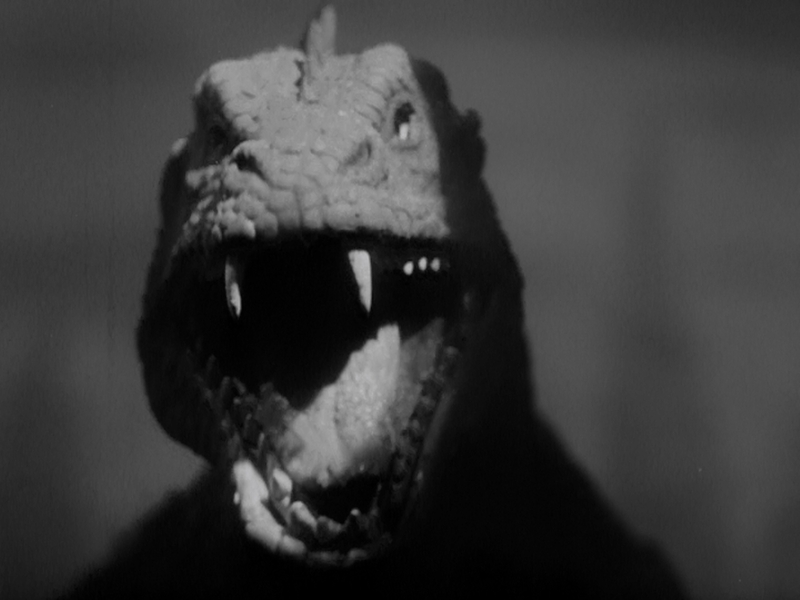 Gorgo is the first real suitimation film made outside of Japan, and is clearly an homage to Ishiro Honda's Godzilla. There is of course an irony that Eugène Lourié, who directed Beast from 20,000 Fathoms, made a film that is a clear homage to a film that was heavily influenced by his own Beast. 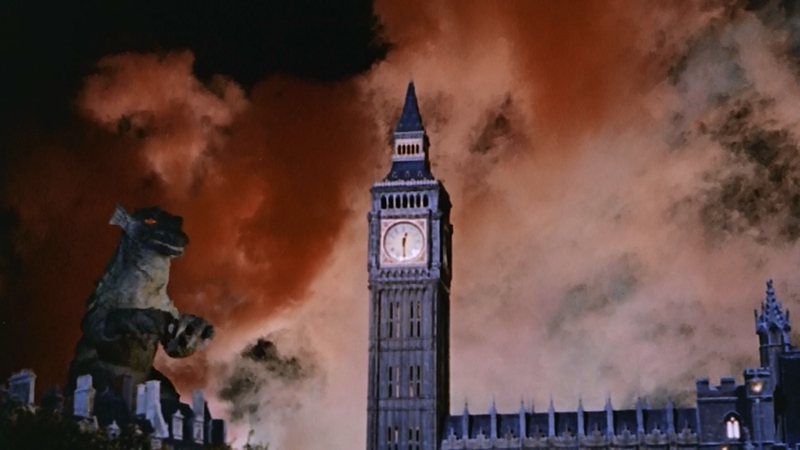 Gorgo takes many tropes from Godzilla, including the isolated island, Nara in Gorgo's case, which has legends of the giant monster, the city-destroying rampage that destroys a bridge, the seat of government (Tokyo's National Diet Building, London's Houses of Parliment). As with Godzilla and the Beast, one of the lines of defense is high-voltage wires, which fail to work. Both feature the helplessness of the military before the beast's onslaught. 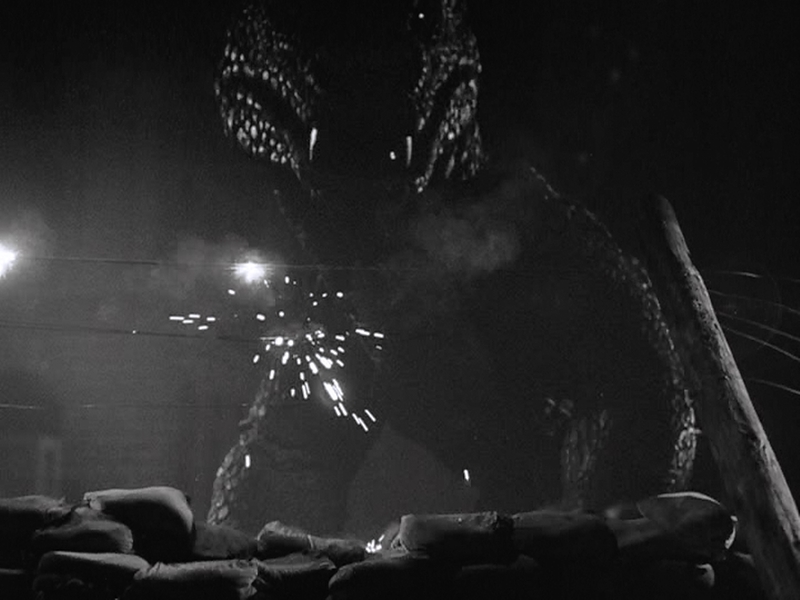 Gorgo is notable for having the jets stand at a proper distance from the monster, rather than flying so close that the monster can catch them. This didn't even make sense with King Kong, when biplanes fired bullets at the big ape. No jet should ever come within arm's reach of a monster, especially when firing missiles. But it looks good if the monster can swat a fast-moving jet model out of the sky, and from Godzilla to Pacific Rim, monsters have been smacking jets out of the sky. Gorgo is an exception because Eugène Lourié was at odds with the King Brothers, his producers, concerning the role the military should play. 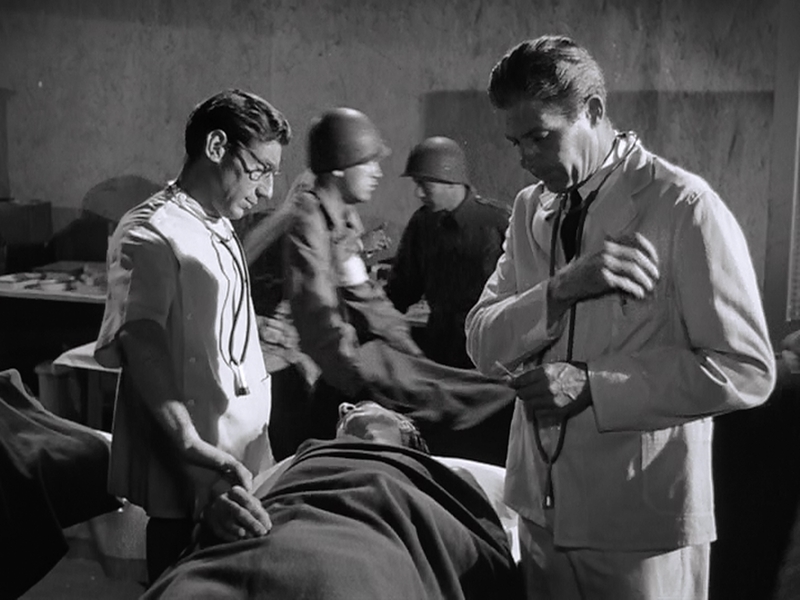 Lourié wanted to downplay the military, but the King brothers wanted a lot of exciting gunfire during the climax. The military was added through stock footage and in post-production, so there are no model planes for Gorgo's gigantic mother, Ogra, to swat. 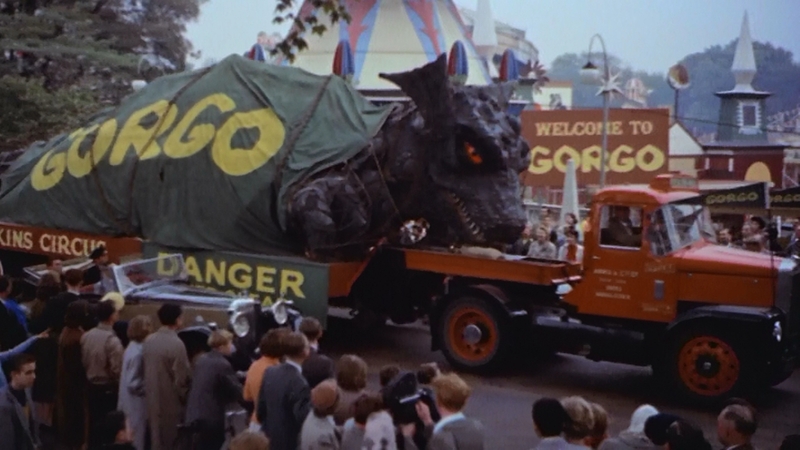 Gorgo also combines ideas from King Kong; the capture of the giant animal, which is put on display in a major city. Gorgo, like Kong, is called the Eighth Wonder of the World. Like Rodan, this features a pair of giant monsters, but in this case, we first see the smaller, thirty-five foot Gorgo, as an immature dinosaur. Later, mother Ogra performs the usual city-stomping duties. Gorgo doesn't hide it's monsters. 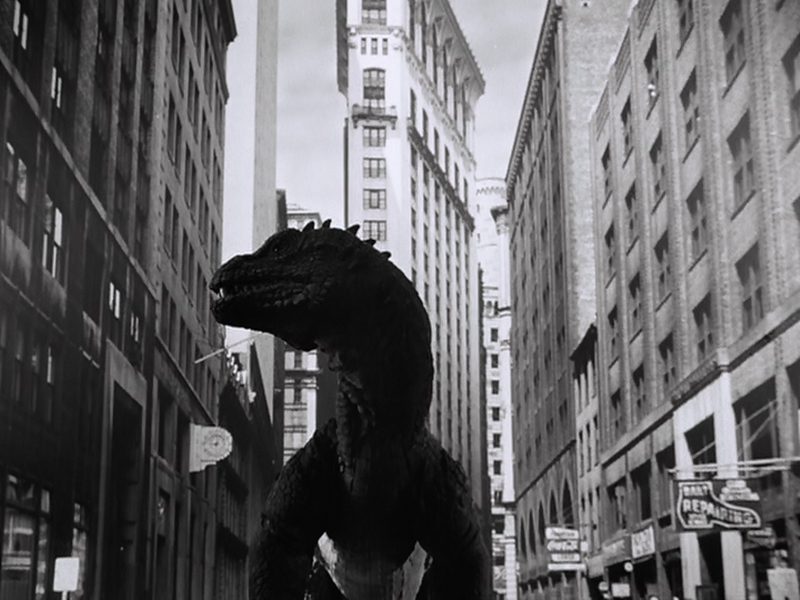 Gorgo makes its first clear appearance only sixteen minutes into the film. Lourié knows the audience is there to see the monster, and obliges us through the entire film. We have some build-up, but it isn't the standard giant footprint in the sand. We hear a little talk, evidence of its existence, including a man who died of fright. And then the monster is on us, attacking Nara Island. Like the Beast, but unlike Godzilla, Gorgo and Ogra aren't nuclear freaks. They are natural monsters that were preserved, and woke up in the modern world due to volcanic activity. They are not tortured by radiation, and this can be seen to have a life cycle, which includes reproduction. Re-imagining the monster as not a singular creature, but something with young and a parental instinct changes the dynamic of the film, giving the monster a motivation other than just being too large. The demonstration of a this, in this case Ogra recovering her young, is the first step in the humanization of the monsters that would lead to Godzilla and Rodan having a conversation three years later in Ghidorah, the Three-Headed Monster. 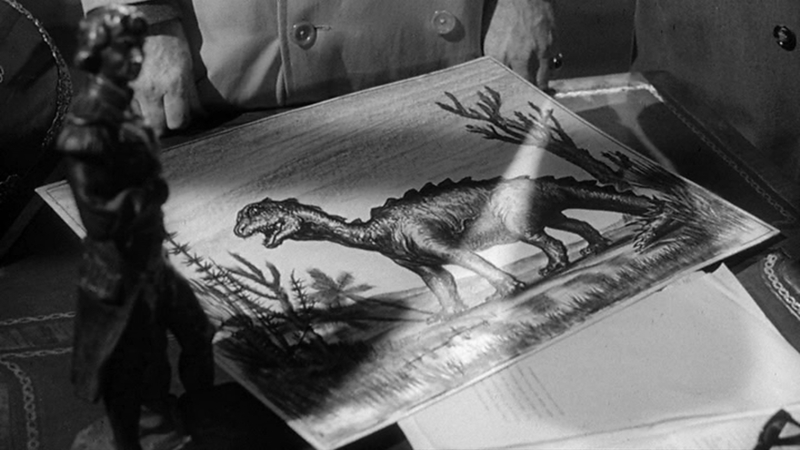 If we are to believe the oft-repeated story that Lourié's daughter cried when the military detroyed the Beast from 20,000 Fathoms, and that he determined not to kill Gorgo and Ogra in this film, it seems that this is probably the first kaiju film intended specifically for children. Lourié, however, knew that kids like a scare, so this isn't a soft-pedalled film. Someone catches on fire, a doomsday preacher is trampled to death. No one is gruesomely killed, but there are frightful moments. Gorgo doesn't talk down to it's intended young audience, something that many later films, in the genre and outside it, do. And in condescending to kids, they often lose their audience. Further, this is the first giant monster film to feature a child as a main character. Young Sean is precocious, and ultimately, the first person to understand that the monster has feelings. Gorgo wants its freedom, and Ogra has the power to set her child free. The child protagonist becomes more apparent, and more obnoxious, as the Shōwa era kaiju films continue, reaching their nadir with the Gamera franchise. 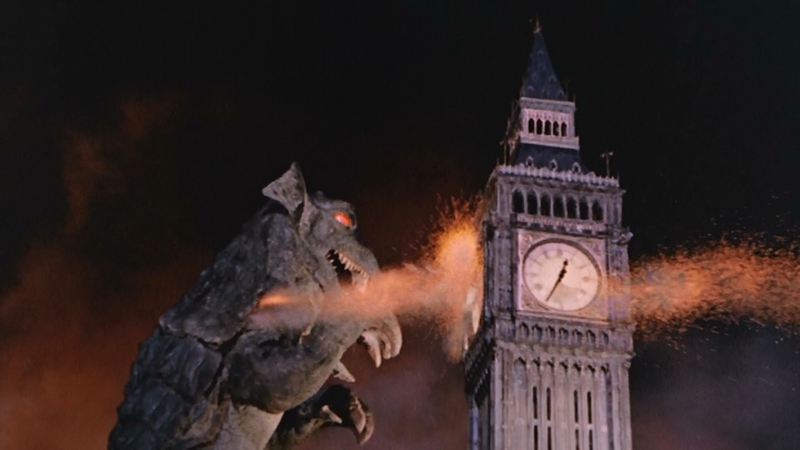 Young monsters also begin to appear after Gorgo, including Minilla, the much-derided son of Godzilla. Even in the more serious Heisei era created a cute baby Godzilla in 1993's Godzilla vs Mechagodzilla. 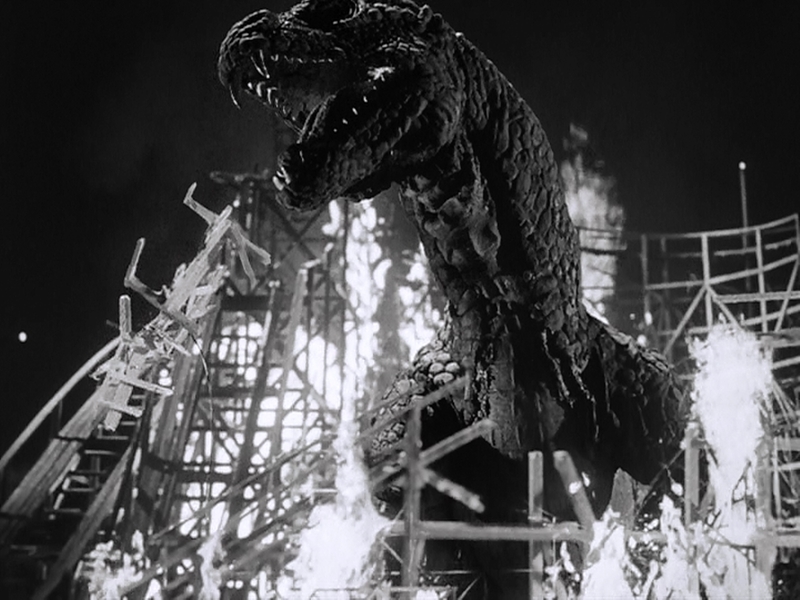 The influence of Gorgo on Japanese monster films was considerable, even to the point of being remade as Nikkatsu's 1967 film Gappa. Toho was producing a special effects science fiction film (and Kurosawa film) every year. Godzilla Raids Again in 1955, Rodan in '56, The Mysterians in '57, Varan the Unbelievable in '58, Battle In Outer Space in '59. The same year Gorgo was released, Toho and Ishiro Honda produced Mothra. According to the featurette on the Gorgo disk, the film was first released in Japan, to great reception. I have been unable to find independant confirmation of this. But it is possible that the success of Gorgo may have prompted Toho to revive the Godzilla franchise the next year with King Kong vs Godzilla. 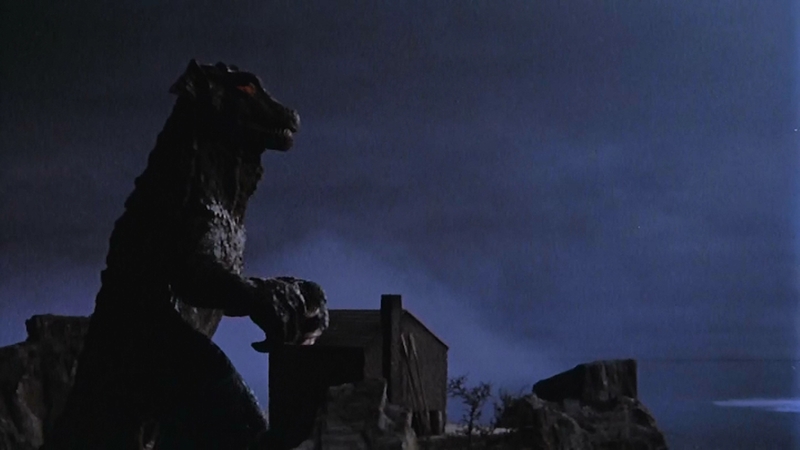 Several tropes are introduced in Gorgo that later become Kaiju standards. Joe Ryan is the prototype of the the greedy entrepeneur, which recurs with Tako in King Kong vs Godzilla, Torahata in Godzilla vs Mothra, and several other Godzilla films, generally those including Mothra. The trope character acts as a foil to the honesty of scientists and reporters, the Godzilla franchise's favorite characters. Interestingly, the character is similar to Clark Nelson in Toho's Mothra also from 1961. So it appears that the exploitative capitalist was a disliked figure across the world, at least by writers of monster films. 1959's Behemoth also ran amock in London. Thanks to the King Brothers financing, this time Laurie had the money to make it look good. 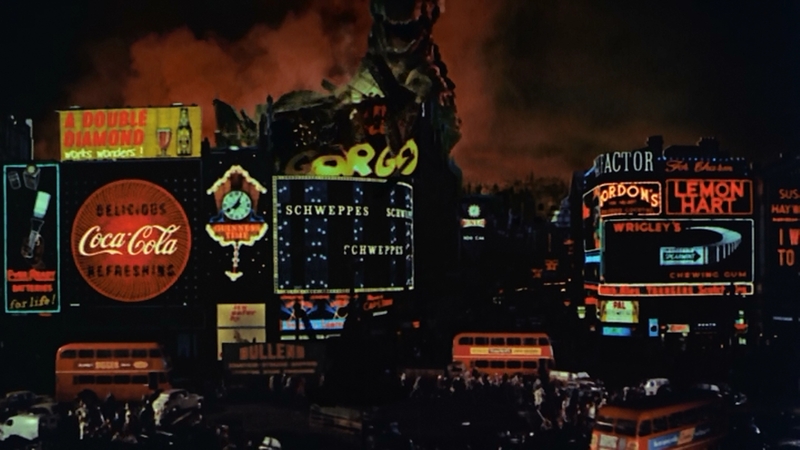 Gorgo is a very well-executed film, with plenty of exciement and a very good 20-minute climax which trashes Tower Bridge, the Houses of Parliment, and Picadilly Circus. It seems like the producers may have felt it necessary to add the reporter's narrative during Ogra's rampage. It feels tacked on, and seems like the reporter is standing in front od a rear-screen projection of the film. Most of the military footage is clearly stock, but that doesn't bother me that much. I wasn't the kind of guy to talk aboutr transfer, but I've seen both the 2005 release, the Widescreen Destruction edition and the Ultimate Collector's Editition, released in 2013. The difference is stark. The Collector's edition's colors are bright, where Destruction Edition's work is muddy, exactly the sort you remember from TV. Additionally, there is a sequel, of sorts, called "Waiting for Gorgo," a good short film by Benjamin Craig. There isn't a lot to analyze, but it's fun, and quite worth watching. Very British. Next Week, a take a quick step back in time and look at scarionetts from Denmark and Los Angeles! 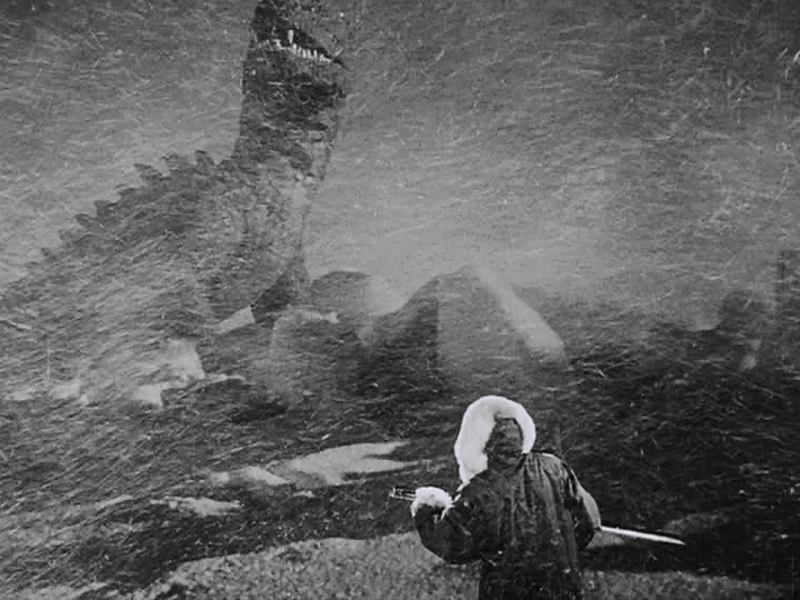 While Godzilla was hibernating under ice, Eugène Lourié was pressed into service to carry giant monster movies forward. He directed three in the span of eight years, after which he felt he was being typecast. He left directing after Gorgo and made a successful name for himself as an art director. Sadly, this is sadly the last time we will see the marvellous work of Willis O'Brien on screen. And it's not even close to his best work. In fact, this little film is nobody's best work. The British film industry was struggling at the time; budgets were tight, special effects were expensive. 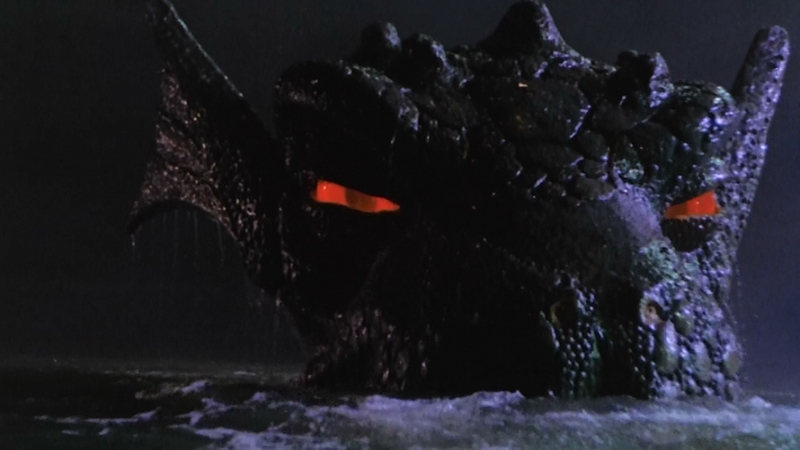 Behemoth is nowhere near as detailed and believable as the Beast from 20,000 Fathoms. The film has been strung together cheaply and the viewer, especially the video viewer who can pause, can see where the corners have been cut. 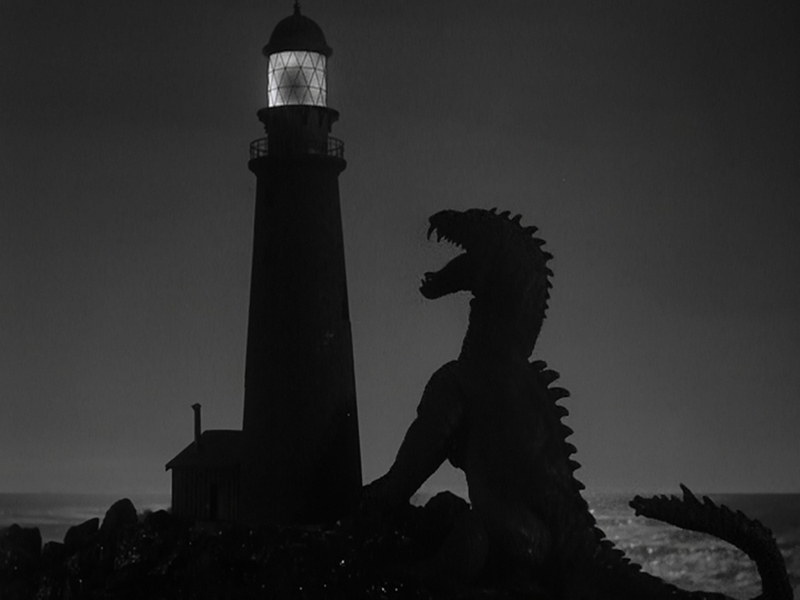 The first glimpse of the monster shows that it has been influenced by Godzilla. It has a string of fins down its back, and while its breath isn't radioactive, it has a radioactive pulse that it can activate at will. Like original Godzilla, Behemoth is radioactive. The initial attempt to track it is conducted with a scintillation counter. Giant Behemoth works a little more on the Roger Corman “Don't show the monster” than previous giant monster films. In part, I suspect because of the limited funds available for the production. 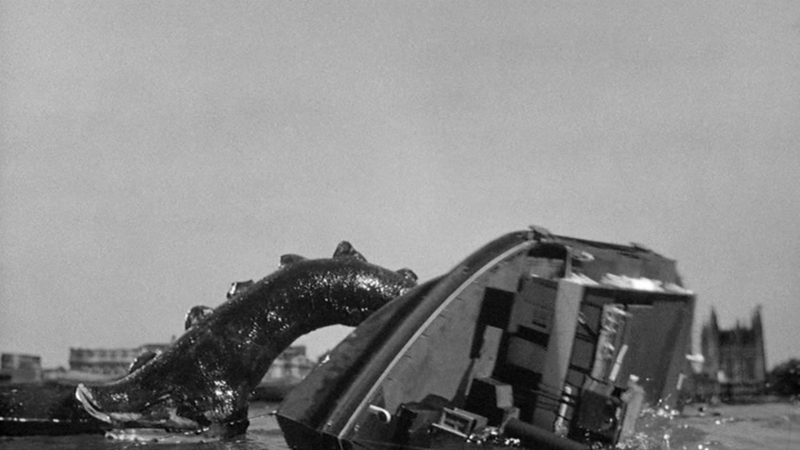 Our first good look at the monster is fifty minutes in, as it capsizes a ferry. But this is an immobile puppet which can't even move it's mouth. And that's all we see of the monster until an hour in. The stop-moton Behemoth is much more impressive than the puppet, because of the expressiveness of the O'Brien and Pete Peterson model. The rampage is also on a budget, and so only lasts some ten minutes. This makes me realize that part of the genius of Godzilla is that the rampage falls in the middle of the film, which allows Ishiro Honda to show us the aftermath. Which is not to say Giant Behemoth is a light film. 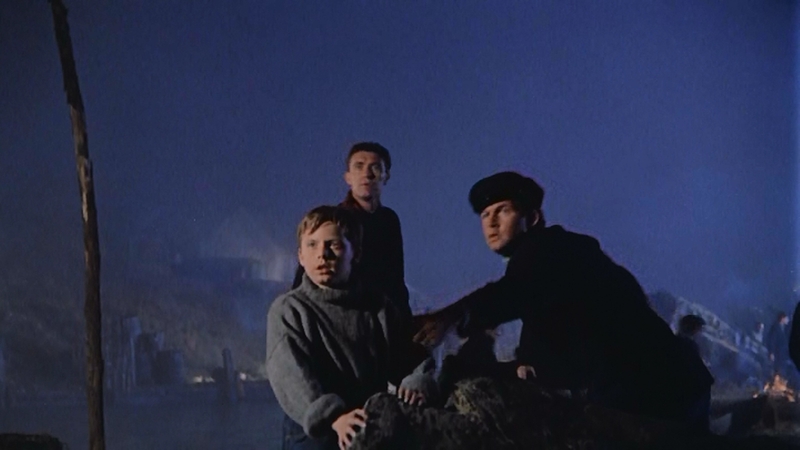 Lourié takes several opportunities to show people dying, something that becomes increasingly rare in kaiju films. 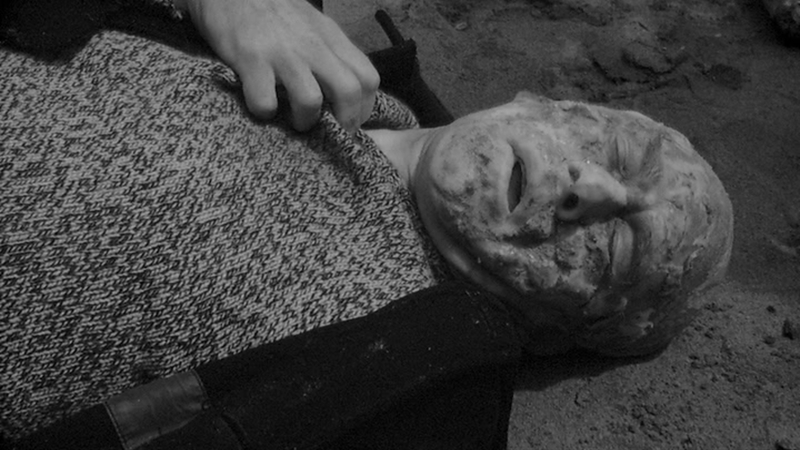 The fisherman is shown with horrific radiation burns. The ferry goes down, and people are shown waving their hands and going beneath the water. The last shot is a man floating face-up, radiation burns clearly showing. During its rampage, the Behemoth uses its radiation to kill fleeing civilians as well as destroying a machine gun crew. These moments of horror remind us that this is not just a fantasy film, but has roots in horror. Scenes like this become more rare as kaiju films become more and more child oriented. Similarities to Beast from 20,000 Fathoms are frequent, and if Internet rumors are true, intentional. 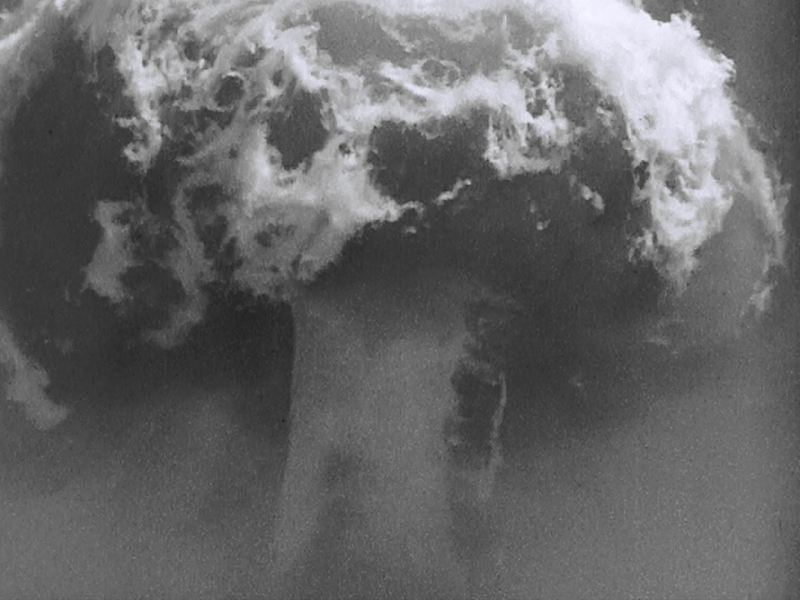 Behemoth, the Sea Monster (the original title) starts with stock footage of a nuclear detonation. The expert immediately assumed the giant monster is from the Pacific, and then says that "they" always make for freshwater rivers to die, a gentle reference to the Beast. And it's quite clear that the frst person to run into kaiju are the fishermen. We've seen this in Beast From 20,000 Fathoms, Godzilla and Pacific Rim; the fishermen serve as the canaries for the terrors that come from the sea. Lourié also plays with the sketches of the Behemoth, as he did in Beast. The 'best guess' of the illustrator is very much like the Beast. Also similar to the previous film, the Behemoth is to be destroyed by an injection of radioactive material, in this case Radium delivered by torpedo. Like Godzilla, it breaks the surface one last time before sinking back into the depths. Giant Behemoth is not a strict remake. For example, Jack MacGowan as Professor Samson is about as far as you could get from tweedy Professor Elson in Beast from 20,000 Fathoms. Samson is young, nerdy and somewhat manic, excited by the possibility of a living dinosaur. He plays the Dr. Yamane role well, disappointed when it's clear the monster must be killed. He shares Dr. Elson's fate, destroyed by the monster he searches for. There are nods to other films. We get the footprint trope, and the Behemoth crashes through a bridge, although not Tower Bridge, as the brontosaur does in The Lost World. Gorgo, next in Lourié's trilogy, would demolish Tower Bridge. This film is the last that will use stop-motion animatiopn to portray its monster. For whatever reason, stop motion fell out of favor for monster films, perhaps because of the perceived cost, or the time involved. Virtually every film after this will be suitimation, and there is a brief, unsuccessful flirtation with marionettes. With the exception of the Gamera franchise, this will be the last quadruped monster to thunders across the screen until the era of CG. Ironic, since stop-motion's greatest triumph was the human-like Kong. Ultimatly, Giant Behemoth isn't all that fascinating. It suffers in comparison, both in action and in the presentation of the titular beast, to Beast from 20,000 Fathoms. Behemoth is in essence a remake with less money and attention to detail. The model is less convincing, and we are much less sympathetic because Behemoth's character is less well-defined than either the Beast ro Godzilla. Our next film is Lourié's final film as director, but the pinnacle of his giant monster trilogy. And our very first color film. Pacific Rim gets a monster-sised thumbs up. The film is entertaining, moves along briskly, and does a good job with the background and history. I left the movie wanting to know more about the world, and the history. Dozens of stories could be told in the background of the film. Monster references abound. An ape-like Kaiju throws a Jaeger, the way Kong throws the tyrannosaur/Godzilla. One of the Kaiju has a Cloverfield vibe to it. There's a Rodanity to the giant, flying monster. And 'knifehead' has got to be a tribute to Gamera's foe Guiron. Each Kaiju has a very different look, but certain visual themes tie them together. They're good monsters. The fights are exciting and not overlong. There's something at stake with each, giving the audience a reason to root for the Jaegers. They also forward the plot, rather than stopping it. There's a little bit of Cabin in the Woods inclusiveness of previous monster movies. Perhaps this is where all those mojsters that have attacked Japan have come from. It's also very much a Western, with incompetent, ineffective, and interfering politicians and rogue pilots taking their billion dollar Jaegers off mission. I will totally be buying the big damn special edition for Christmas, and getting the tie-in books. It's a rich, well thought-out universe, and I'd like to spend some more time there. Idris Elba was absolutely the right choice, and carries some merely acceptable performances along in his wake. The internationalism of the cast is pretty darn good. And an extra plus for respecting the science wonks. I liked the film a great deal, found it very satisfying. Go see it. That said, a big razz to Fandango, which sold me two tickets to a showing that didn't exist. And although I thought I'd purchased tickets to the 3D IMAX version, I apparently hadn't. Won't make that mistake again. 1952, two years before the creation of Godzilla, saw the re-release of King Kong, which made four times what it had on it's initial release. Hoping to capitalize on the success of the film, Warner Brothers set about unleashing a similar film, The Beast From 20,000 Fathoms. Their gamble paid off. 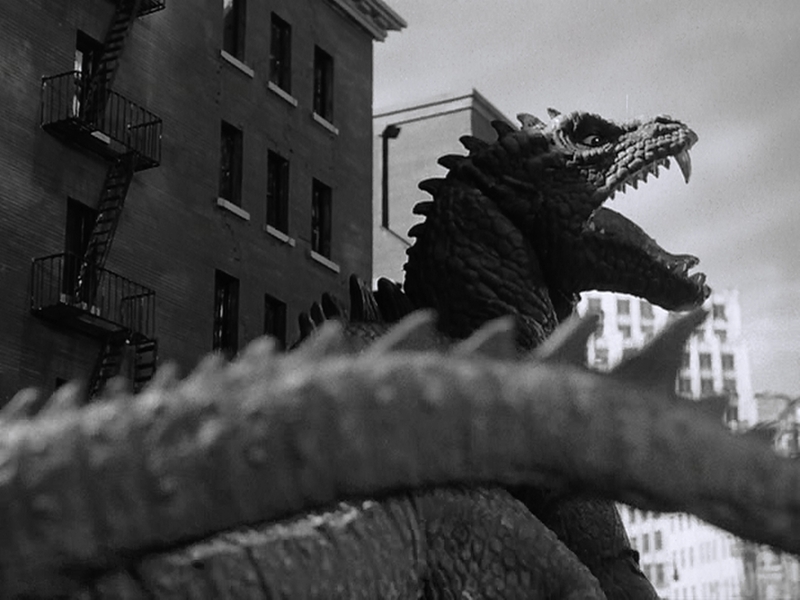 Beast was a spectacular hit, and a very clear influence Godzilla. This is the first of three giant monster films created by Eugène Lourié, who felt with each film that he was being increasinly pigeonholed. 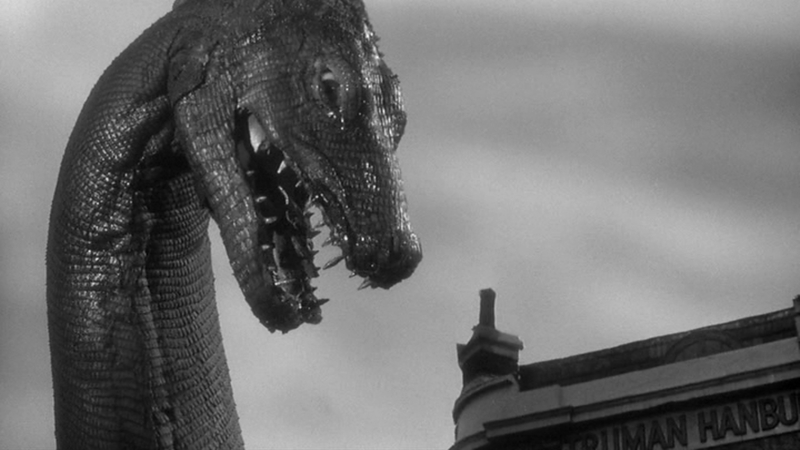 Which is a pity: Beast from 20,000 Fathoms and Gorgo are delightful monster films. I'll be discussing The Giant Behemoth next week. The fim's monster was the work of Ray Harryhausen, pupil of Willis O'Brien, who brought Kong and The Lost World's dinosaurs to life. 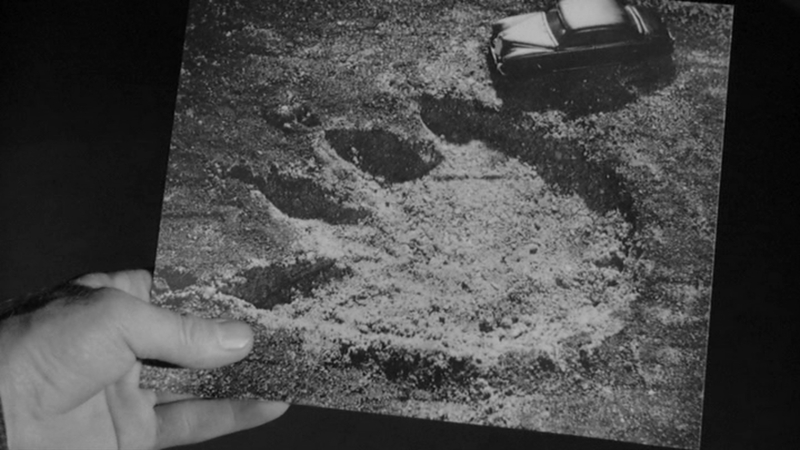 The rhedasaurus is the first giant monster to be precipitated by a nuclear detonation, a film trope that would continue throughout the 60's and 70's. The explostion is shown through a bright flash, and then stock footage of a Bikini atol detonation. Godzilla had to make do with just the bright flash, but the panic brought on by the unexpectedness of the blast gives the scene more fear than Beast, since the witnesses are all men of science who are expecting it. This is a national difference between the American and Japanese experience with nuclear weapons. To Americans, they are a tool, an experiment. To the Japanese, they are weapons of fear and destruction. Rhedasaurus is not nuclear powered, nor scarred or angry. It was merely woken by the nuclear test. Nine and a half minutes into the film, the beast is first glimpsed. 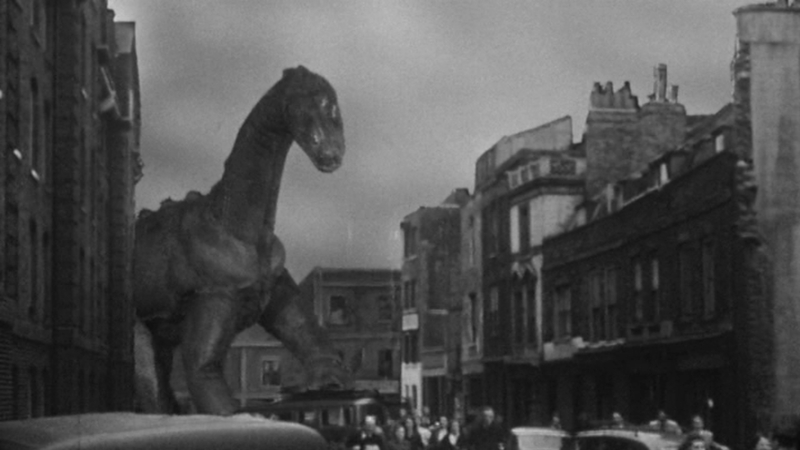 Beast from 20,000 Fathoms is not ashamed of its monster, perfectly willing to give the audience a preview to whet their appetite for the inevitable city-based rampage. Interestingly, the Beast's first victim is not killed by an attack, but by an avalanche brought on the by the beast's passing. No malice or hunger involved, the human simply was in the wrong palce at the wrong time, emphasizing the destructive capacity of the beast. It is from a different time, and its presence in the modern world is disruptive and deadly. The rhedasaurus is a magnificent fictional dinosaur. Low-slung on four legs, it does not stand like Godzilla, and can be more aggressive than Lost World's bronotosaur. As with Kong, when the rhedasaurus is on the screen, nothing else is as interesting. All the memorable moments in the film are at the end, during the city-destroying rampage. Harryhausen's technique is every bit as good as O'Brien's, although he does not utilize shots quite as complex. 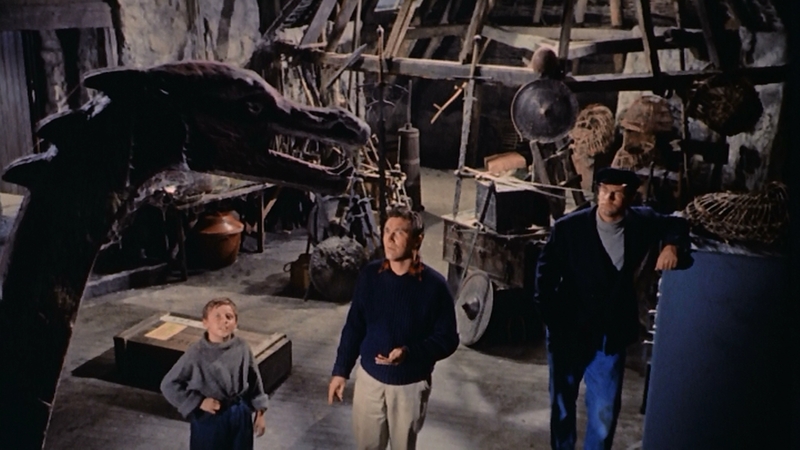 Given the more limited budget of Beast, there are no full-scale mock-ups of any part of the rhedasaurus, forcing Harryhausen to use a small stable of tricks to show interaction between the monmster and the landscape. He does this by picking a car out of a traffic jam of mixed real and miniature cars, deceving the eye aso to where the miniatures begin. When crowds are fleeing into the subway, the Beast rushing toward them, the famous Flatiron Building behind them all. Other events recur in Godzilla. The military attempts to stop the rhedasaurus with high-voltage wires. We also get a scene in a hospital, where doctors talk about the ancient disease the Beast has. As they talk, they minister to dying patients, and several muffled forms on stretchers are carried bhind them. This moment is the only one in which we see the suffering of those the Beast comes in contact with. Again, this was handled with much more emotional punch by Ishiro Honda. Structurally, the film The film begins, and is aped by the later Gamera with an arctic nuclear test. The rhedasaurus then smashes a fishing vessel, as Godzilla will do next year. However, Godzilla, rather than leaving the destruction as it was, showed the effects on families and community, showing us the haunted eyes of mothers and sisters whose men would never come home. Godzilla also redefines the protagonist triad of two professors and the pretty female assistant to two professors, a pretty daughter, and a working man, effectively splitting the Tom Nesbitt role into two different characters; Dr. Serizawa, the brilliant scientist, and Hideto Ogata the man of action. Ishiro Honda didn't seem to believe in two-fisted professors. As is common in science fiction films, the amateur gets to explain how the monster came to be in a hypothetical fashion, in order for it to be dismissed by the “expert”. This allows the information to be handed to the audience, even as it's fantastic and improbably nature is highlighted. And the audience can feel relieved when the world-renowned experd changes his mine and endorses the crackpot theory. After all, he's world-renowned! Professor Elson also makes sure that we know he's about to go on his first extended vacation in 30 years. The Simpsons' portmanteau &lquot;retirony&rquot; seems appropriate here, although Elson does spend his last moments gazing into the mouth of a living specimen of what he has studied for many years. 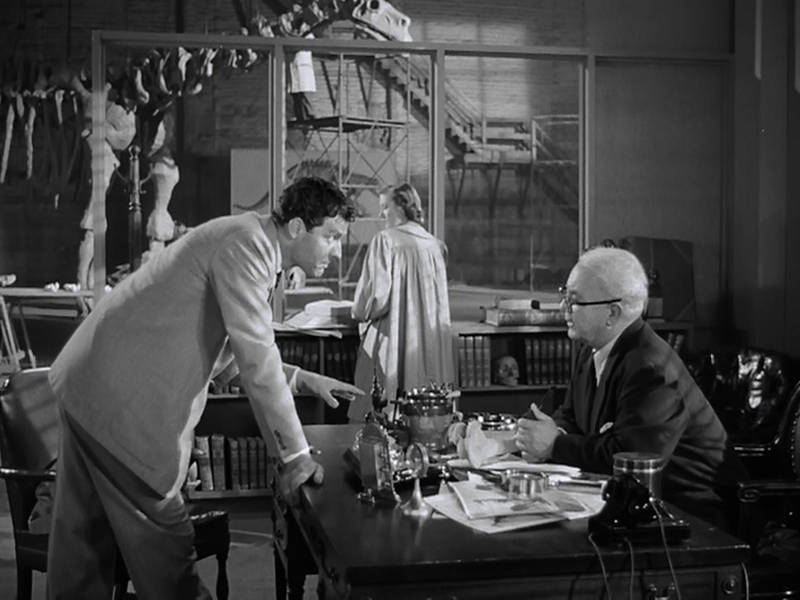 Beast from 20,000 Fathoms seems caught in between exultation of science, with action professor Tom Nesbitt, and fear of technolgy and scientific advancement, since atomic testing awkaned the creature. But the plusses outweigh the negatives in this case, since a rare radiactive element is what brings the Beast down, delivered by the military (Lee van Cleef, demonstrating that he can shoot and kill damn near anything). 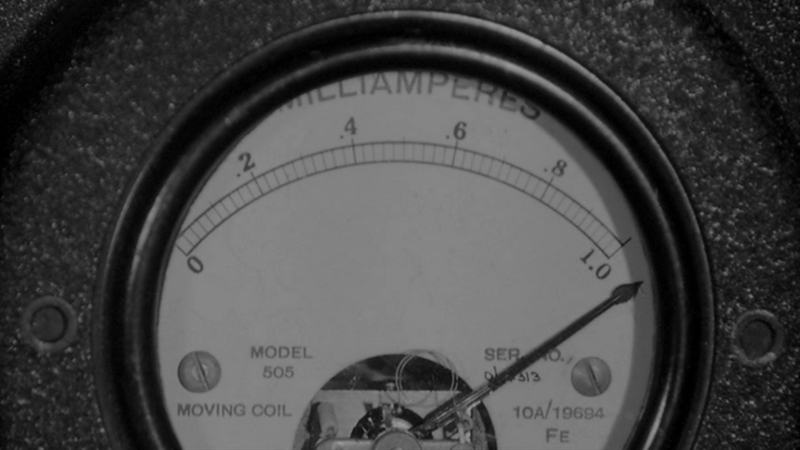 As always, it's interesting to look at the film showcasing the technology of the day. The radio announcer, the banks of telephone operators, all are delightfully indicative of the tim period. One of my pleasures when watching a series of Godzilla films is watching the city's height increase from film to film. Beast from 20,000 Fathoms is a pretty good film. Ray Harryhausen's work on the rhedasaurus is arresting and interesting, and the staging of the its scenes are meticulous and fascinating. A good monster film, highly influential, and essential to anyone who wants to understand the history of giant monster film. Next week, same director, smaller budget. But tomorrow, I'll be seeing Pacific Rim. If my head explodes I've left strict instructions that someone is to blog about it. Of all the giant monster films, King Kong is the one held in highest regard by people who do not ordinarily watch monster films. It was so successful that after it was released in 1933, it was re-released in 1938, 1942, 1946, and 1952 before being sold into television syndication. That's practically unprecidented. The brilliance of the film stands not with the screenwriter or the director. Before Kong appears on screen, the film is ordinary. When Kong is on-screen, the film is brilliant. The visual effects that created Kong were the work of one man's workshop. Willis O'Brien was the Industrial Light and Magic of his time, creating believable dinosaurs for The Lost World and his crowning achievement, King Kong. He contributed a staggering amount to special effects, utilizing them beautifully in very complex shots that appear natural on the screen. Unfortunately, O'Brien was not as appreciated as he should have been, partialy because the producers of Kong didn't want to let the secret of Kong's special effects out. O'Brien utilized a lot of tricks that appeared to cross the boundaries of the miniatures effects and the live actors. 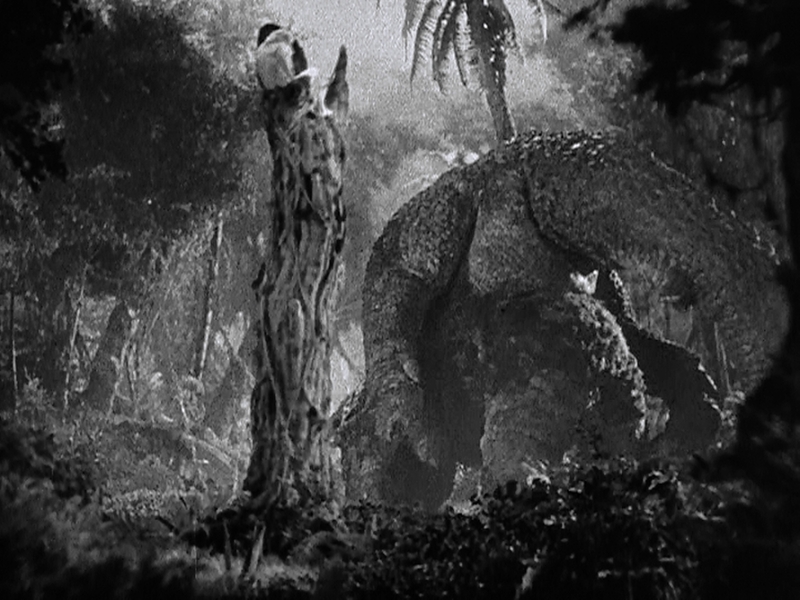 While fighting a Tyrannosaur, Kong backs into the tree that his pet human Ann Darrow is in, knocking it over. This is something few other Pre-CG monster films achieve, since the monster cannot touch the actors. The many dodges he uses help create the illusion of interaction, giving the big ape credibility. His greatest contribution to film is making a nonexistant giant ape into a sympathetic character. 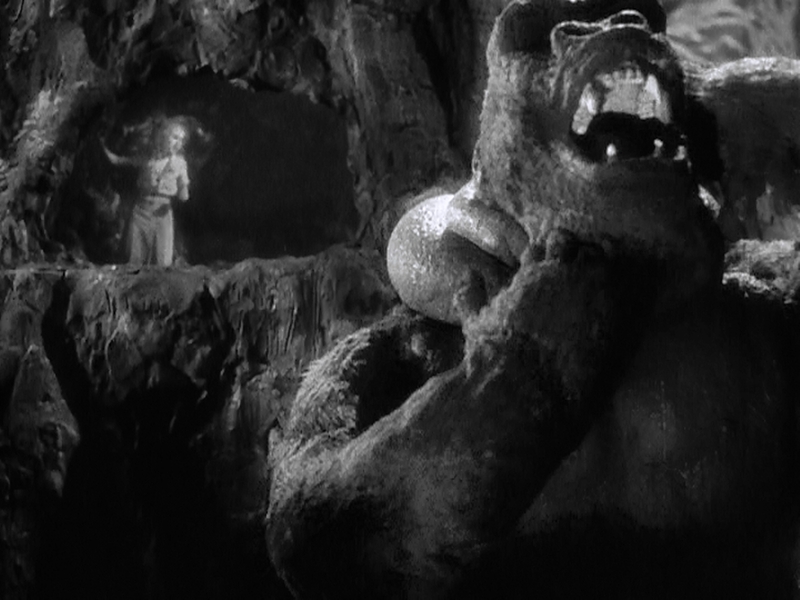 Kong starts off as a fearful brute, pounding his chest and terrifying Ann Darrow. However, his unexpected gentleness with her is touching, and we begin to realize Kong is not a thing of horror, but a character who grows, has joys, and learns. He lives in a jungle where everything is trying to kill him and the humans, and he protects Ann from them, often getting hurt in the process. We watch him make decisions, as when he is trying to grab Jack Driscoll, and Ann screams because of an approaching dinosaur. This is the quality of a thinking creature, not an animal. 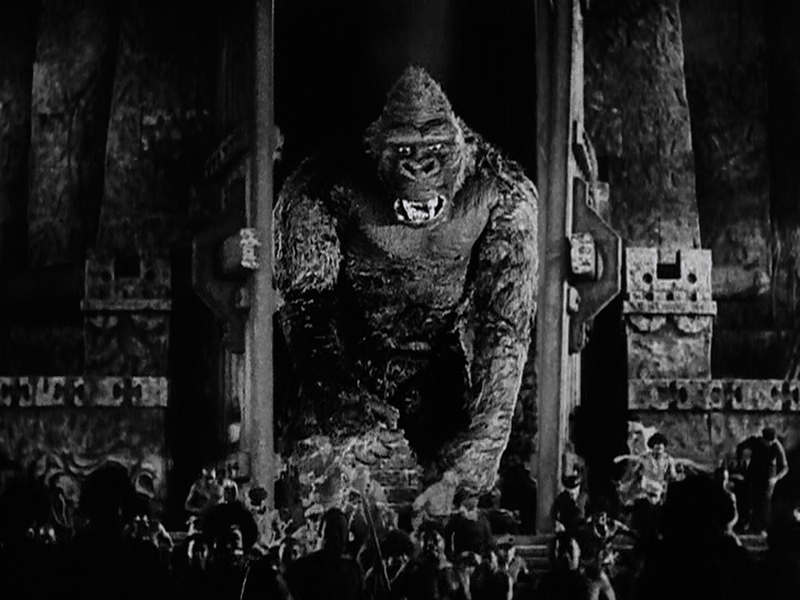 Even when he is chained up on the Broadway stage, Kong's head and eyes follow the action of the humans below hime. When climbing the Empire State Building, he stops and looks around. 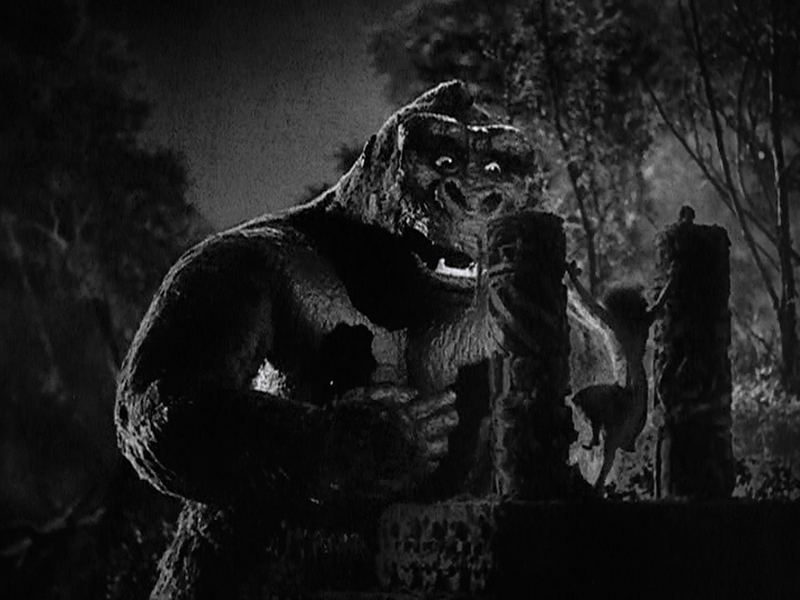 Kong can be described as a character because he changes as his environment does. In his own land, he is but one gigantic creature among many, able to survive and even thrive. In the land of men, he is a titanic misfit. Ishiro Honda's quote is most applicable here. “Monsters are tragic beings. They are born too tall, too strong, too heavy. They are not evil by choice. That is their tragedy. They do not attack people because they want to, but because of their size and strength, mankind has no other choice but to defend himself. After several stories such as this, people end up having a kind of affection for the monsters. They end up caring about them.” Kong is ultimately the victim of Carl Denham's desire to make money. In the iconic climax, Kong squares off again against the technology of a modern city. Having succumbed to the gas bombs, but destroyed the chrome steel manacles, Kong comes up against airplanes. 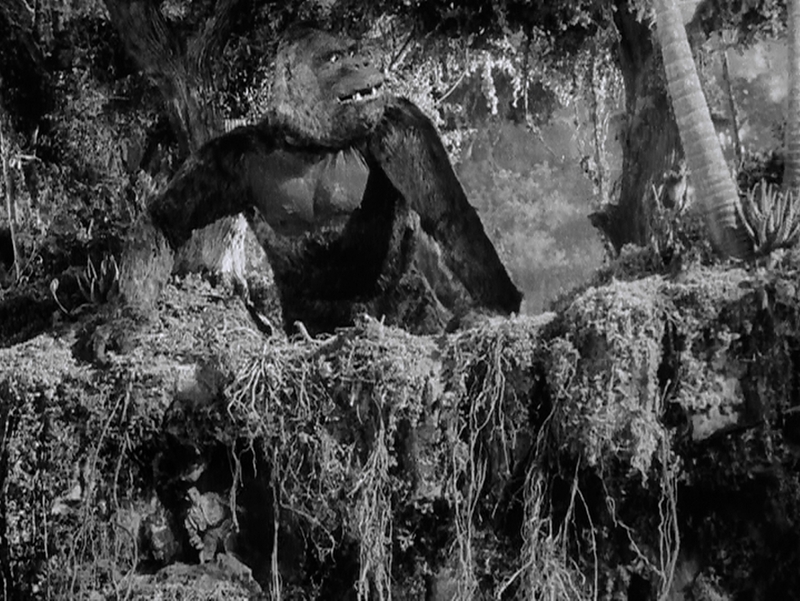 The expression of bewilderment and anger on Kong's face as he realizes he has been wounded humanize him even more. No matter which side the audience is rooting for, the climax provides plenty of dramatic tension. Kong manages to down a plane, but eventually, he is too wounded to keep his precarious footing. He wipes at his eyes, makes a gesture to Anne. He knows he is going to die, and so does the audience. This is the brilliance of O'Brien's work, making the giant monster into a sympathetic creature, turning what could have been a disaster film into a tragedy. A racist text can be easily seen in the film. 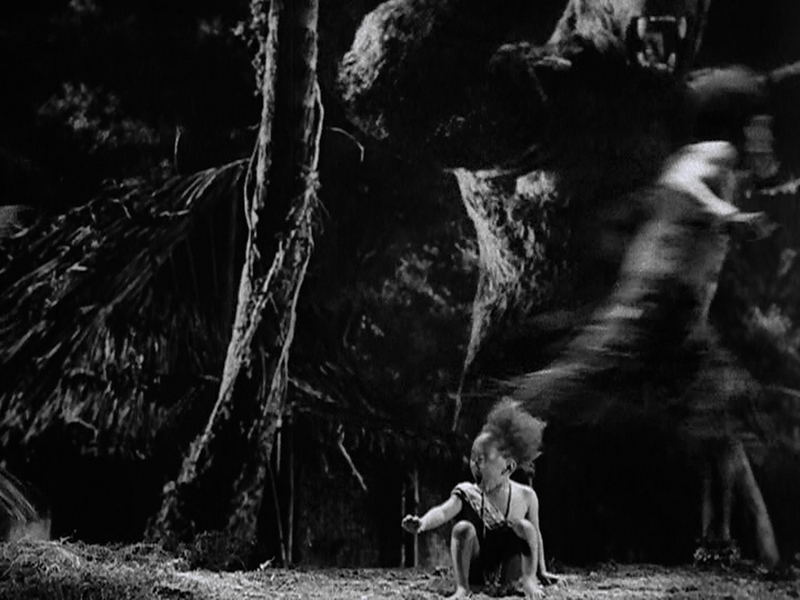 Aside from the uncomfortably inappropriate Skull Islanders, Kong himself can be seen as a metaphor for racist fear. The gorilla, a stand-in for supposed black male aggression, is fine where he is, but infatuated with the blonde and brought to the big city, he goes on a destructive rampage. It it left up to the viewer to decide if it's the photographer's flashes that enrage Kong, or Jack Driscoll embracing Ann Darrow. Fortunately, this is not an aspect that carries over into later films that do not feature giant apes, but it is a reason I'm not interested in subsequent ape films. How influential was Kong on Godzilla? Tremendously. 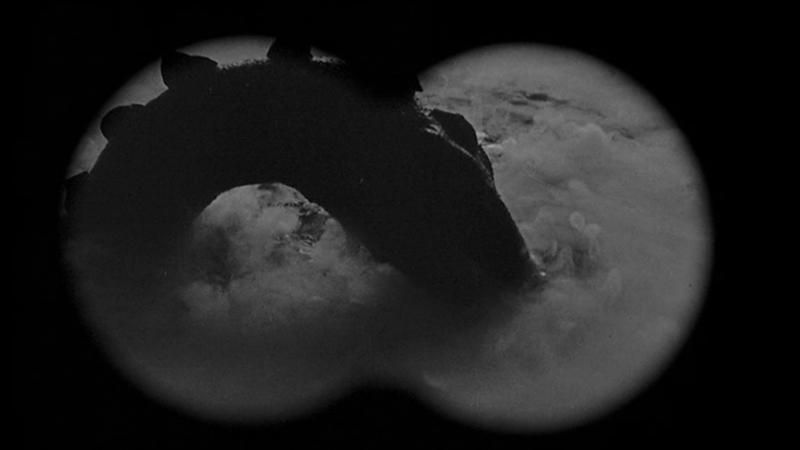 Many moments are echoed, especially in the first Godzilla. Like Godzilla, at first we get a short glimpse of the giant monster, but later we get a longer view, and the monster is not diminished by the audience's long look. Kong looks good. Godzilla looks good. There is a time to hide the monster (although 2006's The Host shows us that even this is unnecessary, given the right plot structure), and there is a time to show that the monster's actions are what make it monstrous, rather than it's appearance. Both monsters wreck with a train. 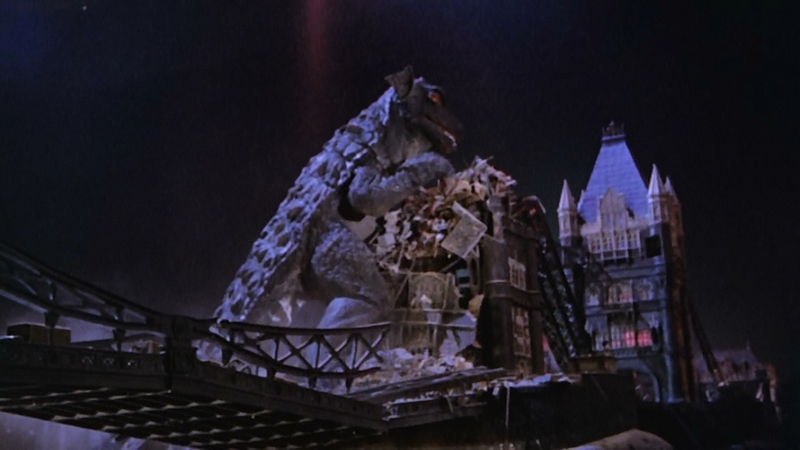 Kong destroys the elevated train, while Godzilla merely steps in front of one, emphasizing their differences. 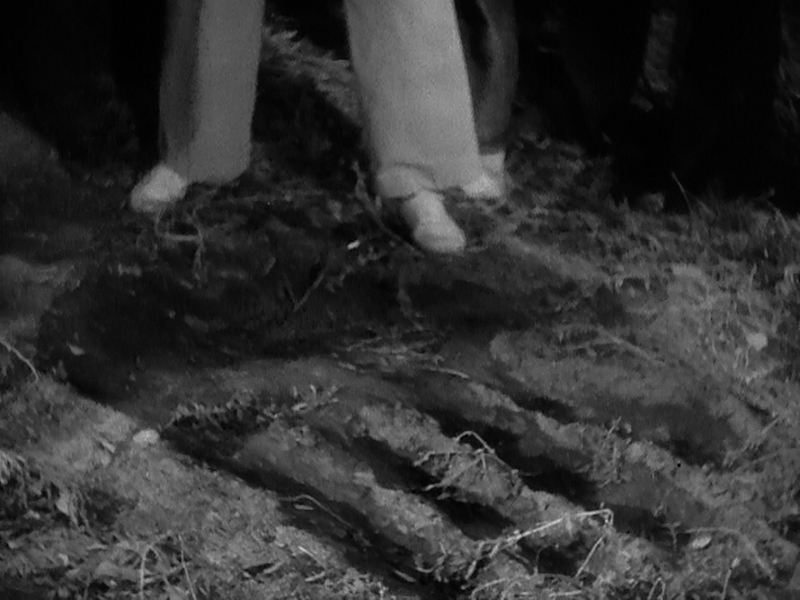 After an initial sighting, humans discover the footprints of the giant creature. Which is not to say that the later film is a copy of King Kong. Godzilla dispenses with King Kong's middle act, going straight from the discovery of the giant monster to the rampage in the city. This is partially because Godzilla has no place on this earth. He is not a natural creature. 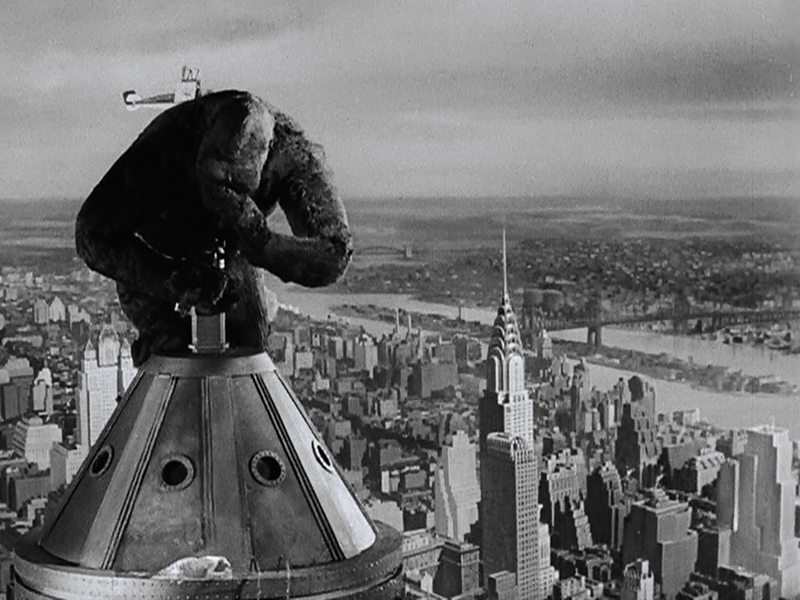 Kong's time on New York City is less then twenty minutes, his rampage only fifteen. Godzilla's Tokyo rampage takes about the same amount of time, but the film shows us the human consequences of that rampage, after which a way must be found to destroy him. The nature of Godzilla is that nothing as simple as planes and bullets will do. Further, Honda takes the mother and child moment, seen in both The Lost World and King Kong, where the child or mother and child are directly in the path of the rampaging monster, and turns it into a heart-wrenching moment. Godzilla's version of this scene has her say that they will reunited their father, and is vastly more effective because the mother is humanized with dialog. None of O'Brien's mothers in peril have depth. Once Godzilla was a working franchise, it was perhaps inevitable, given Kong's fight with a Tyrannosaur, that King Kong and Godzilla would fight. The combat between Kong and the Tyrannosaur is one of the most memorable moments in the film. 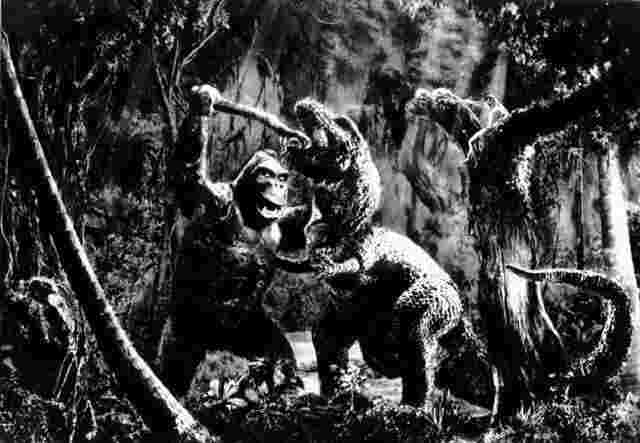 Again, moments were repeated from King Kong, such as when Kong throws Godzilla the same way he throws the Tyrannosaur. There is also a moment where Kong shoves a tree into Godzilla's mouth; a moment not actually in King Kong, but in a promotional photograph. Interestingly, the film was based on a Willis O'Brien idea. King Kong is a magnificent film that no lover of monster film can ignore. So many tropes were created with this film that it is the complete break-out of the genre. There have been dozens, if not hudreds, of references to the film and character in film since then. 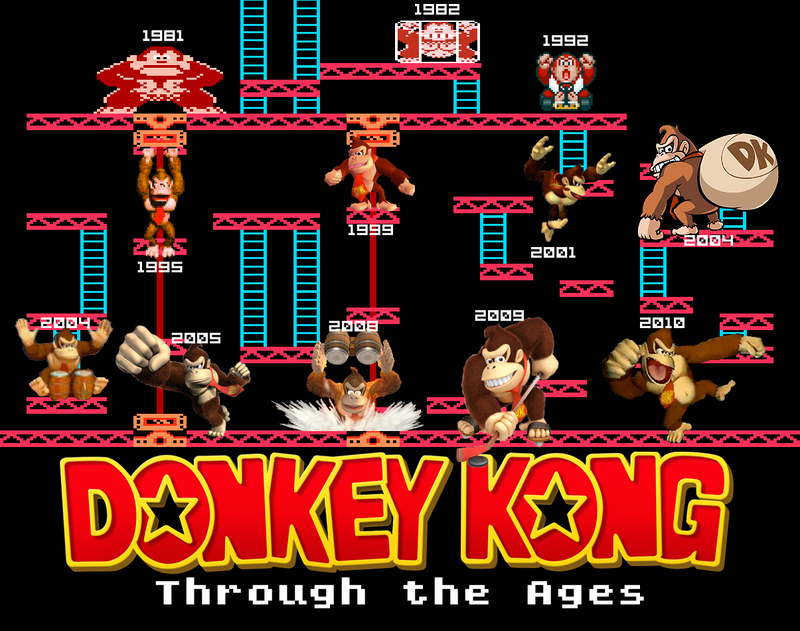 I also want to take a moment to acknowledge Kong's most successful descendent, Donkey Kong. In the 1981 game Donkey Kong, a large gorilla kidnaps Pauline and stands at the top of a series of girders, as if the Empire State Building were a constructon site. Mario climbs the building and attmepts to rescue Pauline. While the initial game is similar to the King Kong scenario, later versions are not. As with Godzilla, the monster that is familiar becomes our friend. Donkey Kong is no exception. Like Son of Kong, a sequel to Donkey Kong was Donkey Kong, Junior, which made the giant ape more sympathetic, as the player was rescuing him from the mean carpenter. Kong and his son then go on to be popular characters starring in their own game series, and appearing in most interations of the Mario Brothers franchise. The monster becomes our friend. Next up? Ray and Ray make the beast!